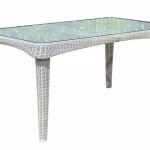 This very attractive table will be a very nice addition to any garden patio. 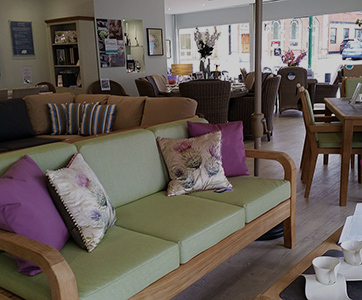 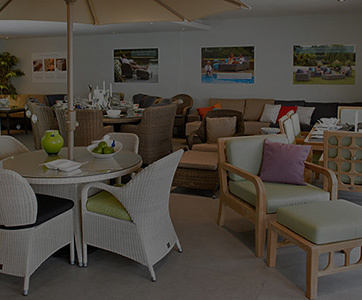 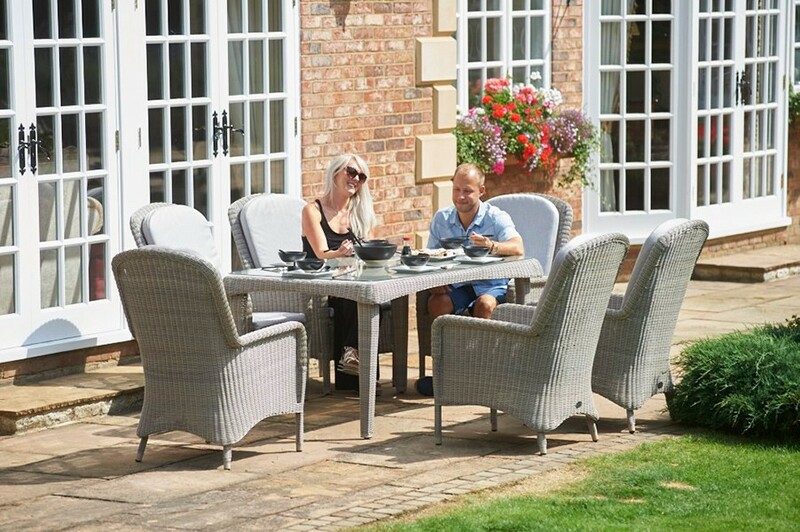 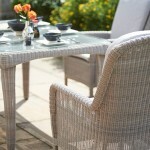 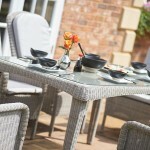 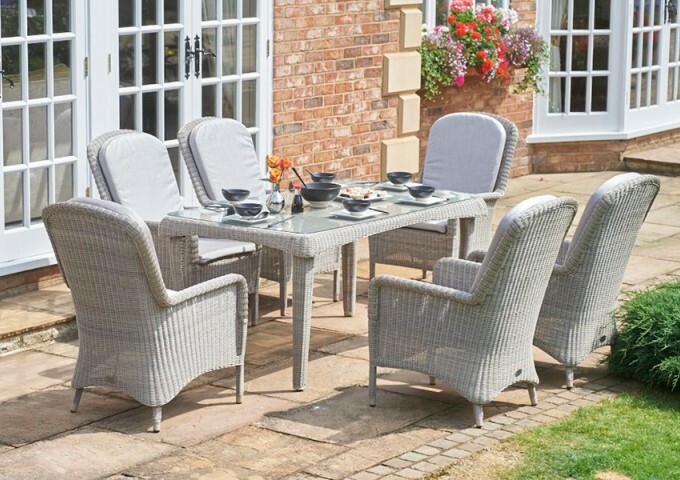 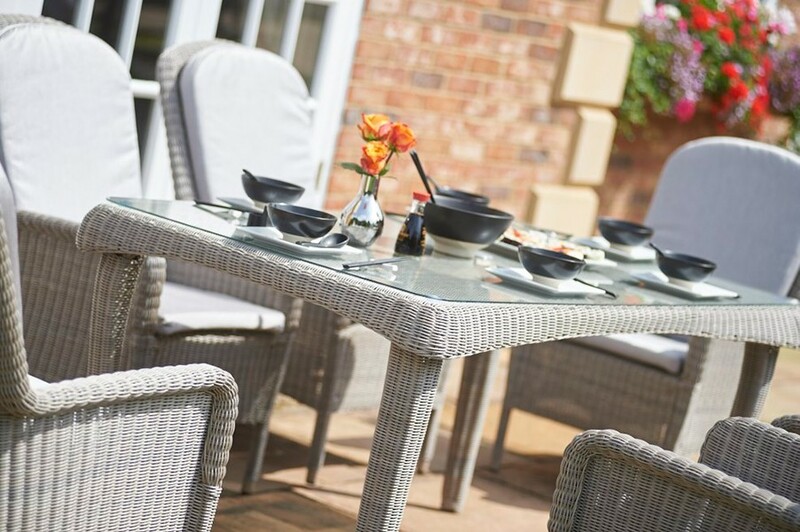 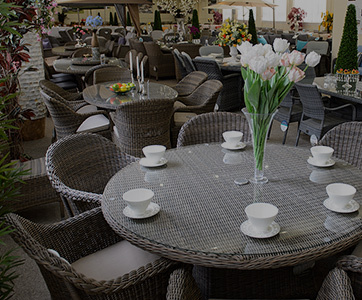 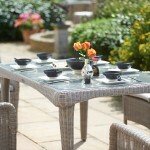 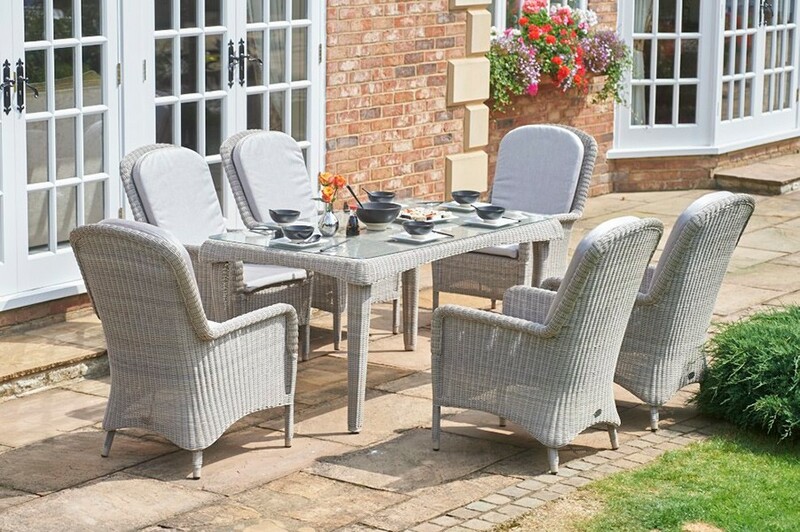 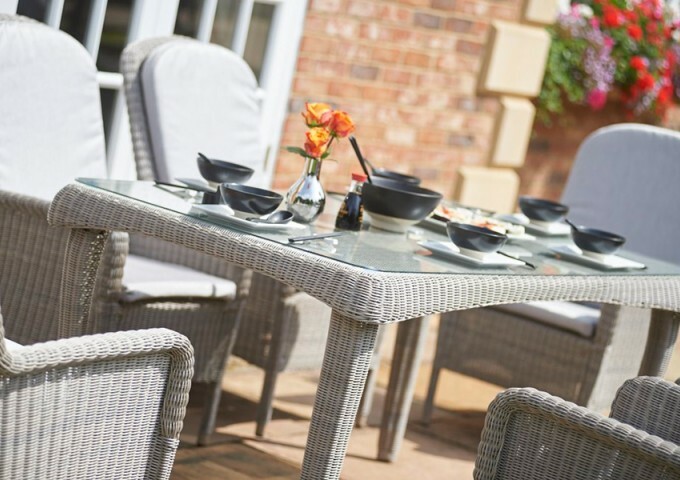 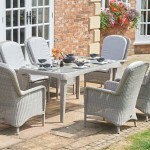 It combines beautifully with matching Evesham Dining armchairs to make a very fine outdoor garden dining set. 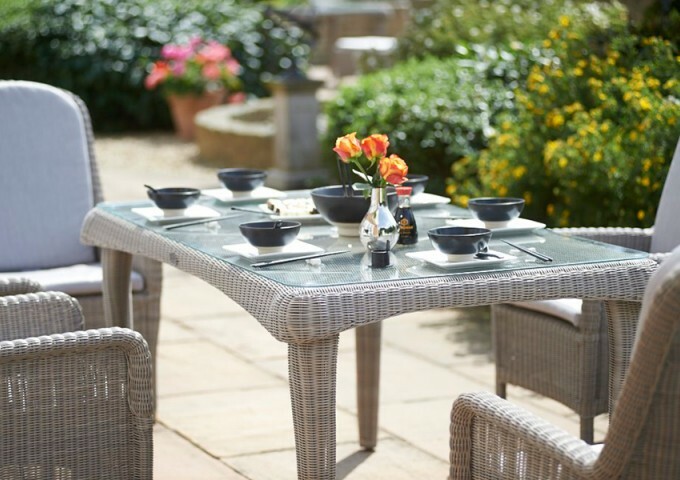 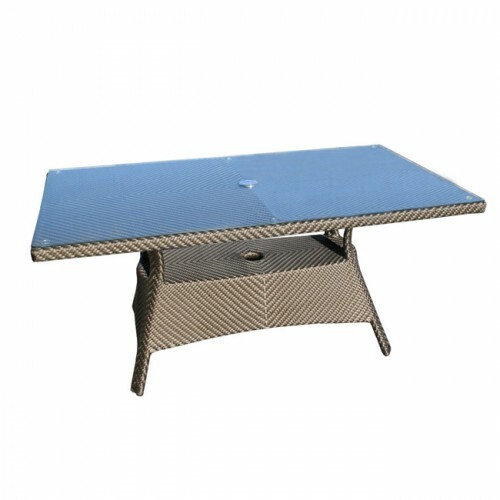 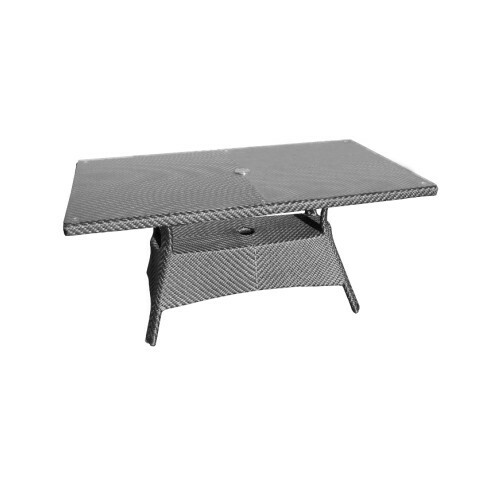 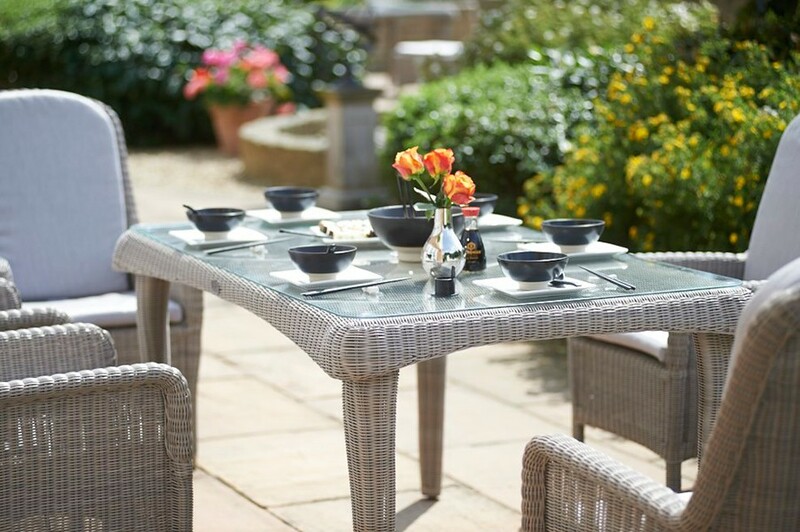 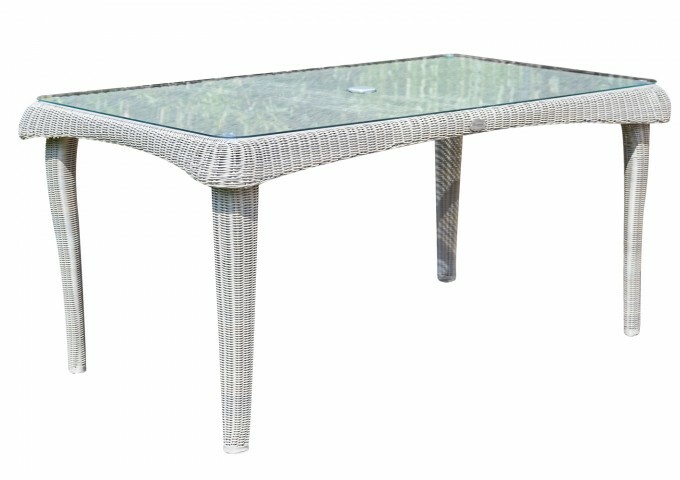 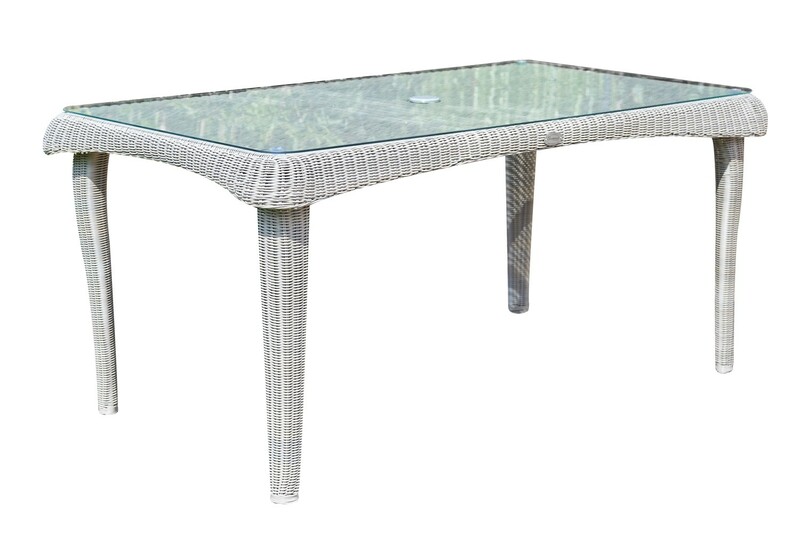 The table is supplied with safety glass and the legs on the table are adjustable to cope with uneven ground. 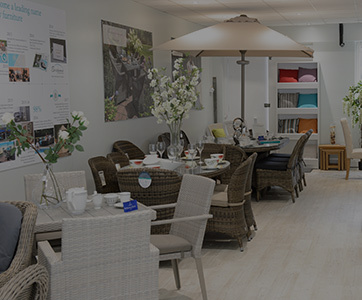 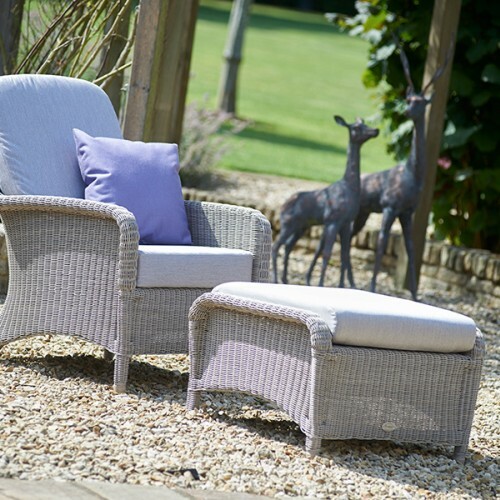 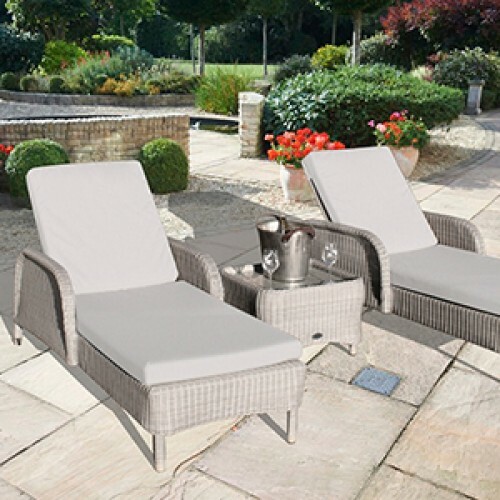 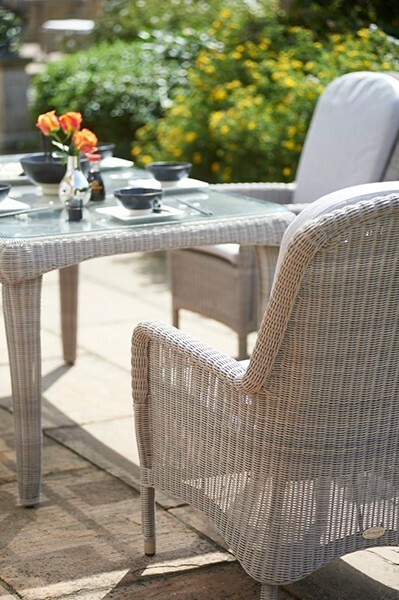 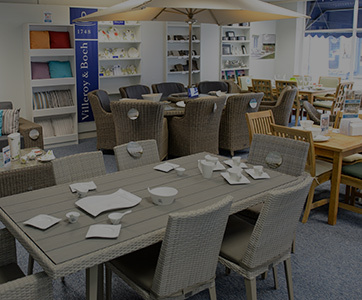 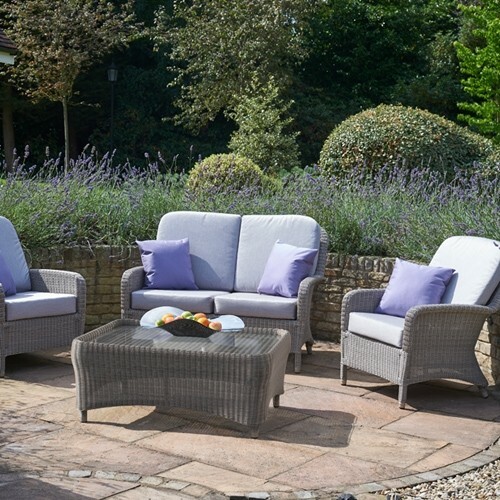 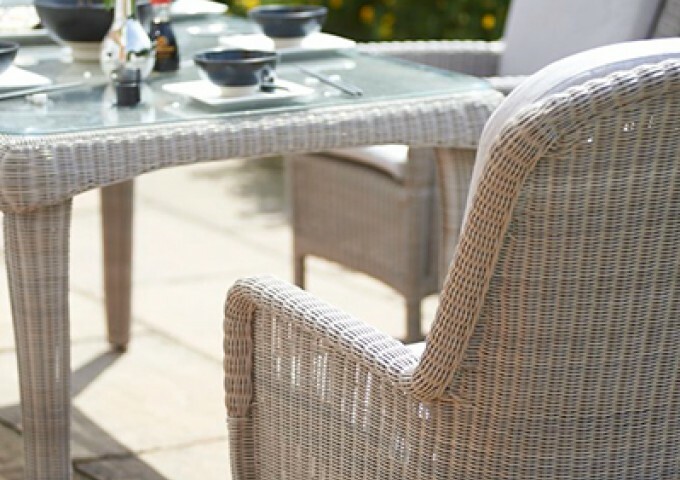 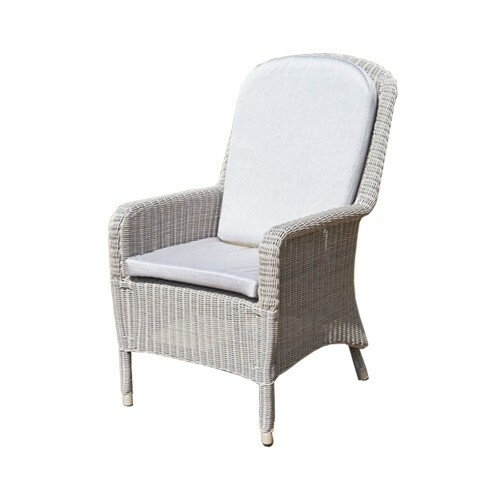 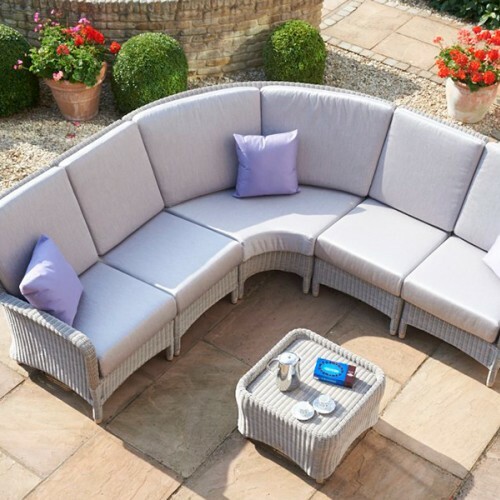 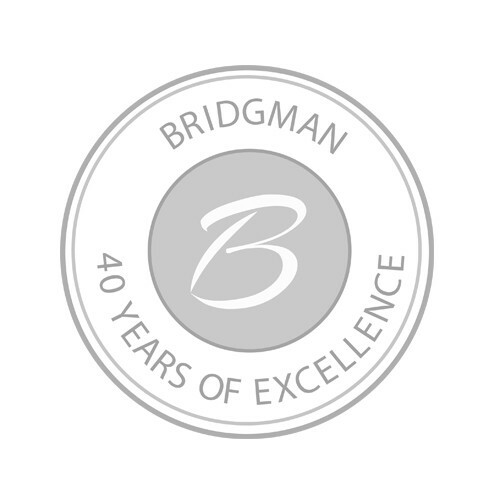 This beautiful piece is made from the highest quality synthetic rattan weave and is perfectly suited for outdoor use all year round, It will maintain its new look year after year, with only an occasional clean needed to keep it looking great.